A wooden cuff always has my complete attention and admiration. Artist Katie Thompson of Eutawville, South Carolina is well aware of the allure and has capitalized on it with a line of distinctive jewelry made from wood, metal and locally sourced materials. 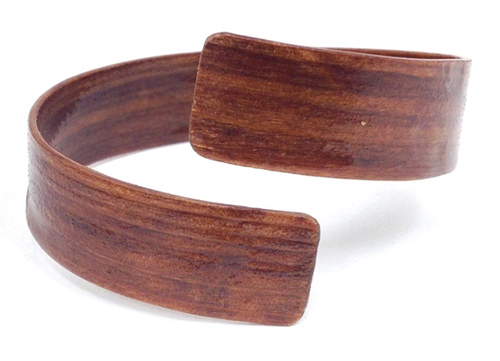 Her popular spiral cuff is made from a felled Cypress tree in her backyard swamp, estimated to be 1000+ years old. As she is a partner (along with her husband) of Joseph Thompson Woodworks, Katie found inspiration in their shared workspace. The number of wood shavings found on any given day led her to recycle these pieces to create something original, structural and visually appealing. The process to create each cuff is labor intensive. Katie, "I steam bend these using a steam box and then form by hand. They cure for a day or so, then I'm able to hand chisel, saw, sand and finish using a UV and waterproof finish, which takes another day or so to cure." I'm as much a fan of the necklaces as I am of the bracelets. These beauties are handcrafted from local South Carolina black walnut and work well for designers and artists- admirers of function and form. 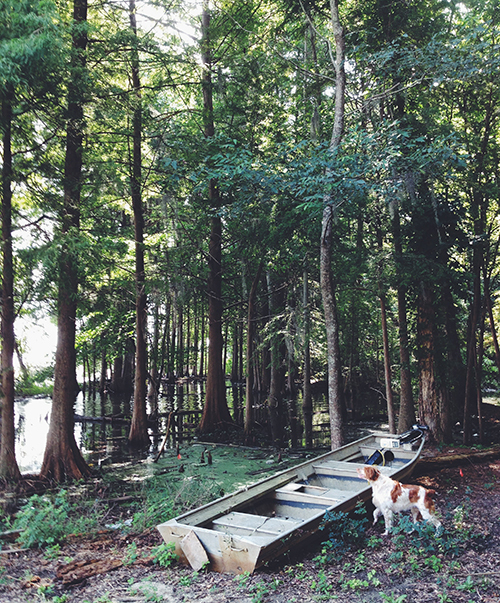 This is Katie's backyard swamp where she finds endless inspiration. Katie, "I feel like the swamp has accepted me in its gritty and sometimes dangerous beauty and I'm obviously aiming to honor what I see in that relationship, even subconsciously." I'm looking forward to seeing that relationship evolve. See all of Katie's handiwork, (which I first spotted on the Oysters and Pearls site) here.